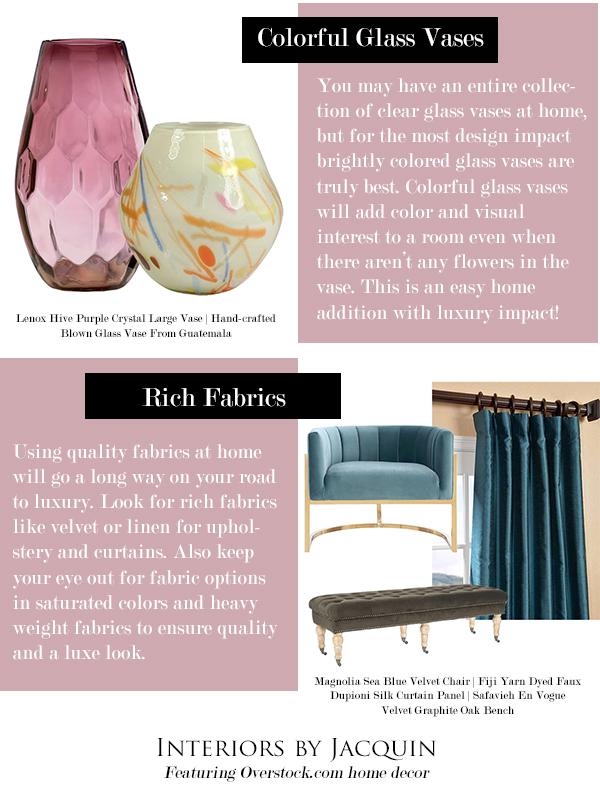 If your home is already furnished, but you still aren’t achieving that luxury look you’re going for, it could be because you need to revamp your home decor accessories. You’d truly be surprised by how far a change of accessories will go with your present furnishings. 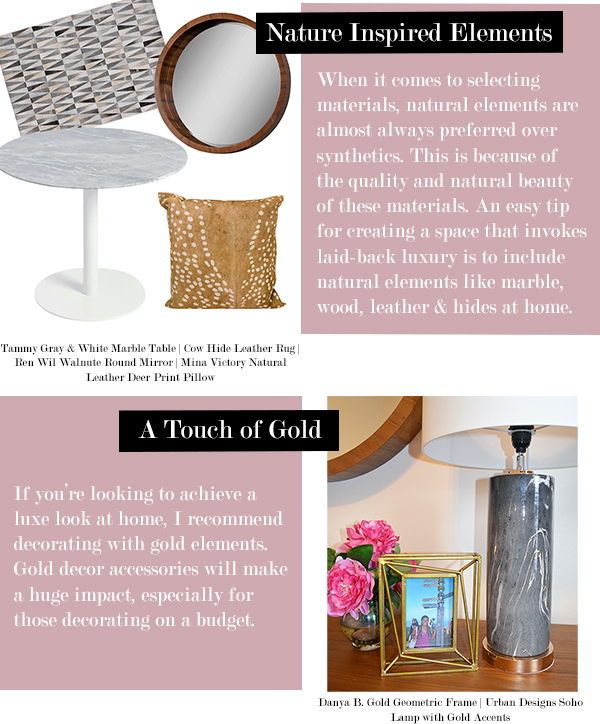 The secret to achieving a luxury look is to select high quality decorative items, that will add visual impact to your space. With the help of Overstock.com you don’t have to sacrifice great design over price to create a well-designed, luxury space. Overstock.com has an incredible assortment of home products at every price-point so that everyone can create their dream home. However, sometimes it’s easier to have a professional point you in the direction of pre-approved decor to achieve your dream space. 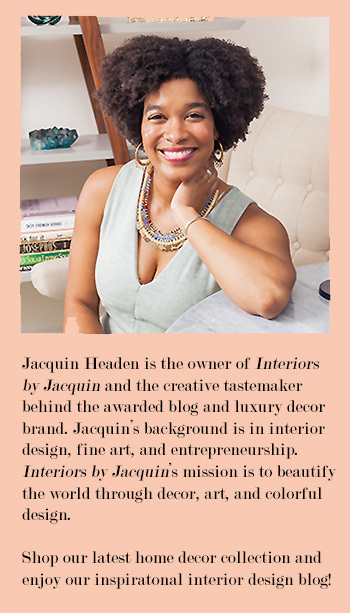 In this blog post I’ve linked to beautiful home decor additions from Overstock.com that will have luxury impact at an affordable price. Let’s get started! 4 EASY SHORTCUTS TO A LUXURY LOOK AT HOME – Sponsored by Overstock.com! Overstock.com is your one-stop-shop for luxury home decor selections at an affordable price. Adding these pieces to your home will absolutely give your home a luxury boost! Which of these luxe home accessories featured is your favorite? Happy shopping!